Editor’s Note: National School Counseling Week, sponsored by ASCA, is always celebrated the first full week in February. Learn more about this year’s celebration and use the comment section below to let us know what drew you to the counseling profession. 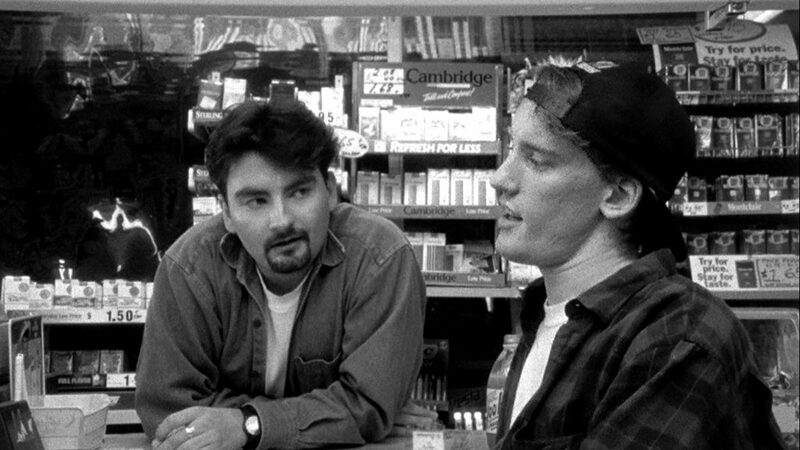 There is an iconic scene in the movie Clerks (1994), Kevin Smith’s first film, which centers on a suited man sitting on the floor of a convenience store searching for the perfect carton of eggs. According to a random customer and the titular clerks, Dante and Randal, this man is suffering from shell shock as a result of working as a counselor. To be fair, the protagonists of Clerks are not intended to be admirable characters. They are notably listless and clearly in need of some counseling themselves. However, personal jabs at my profession aside, I like Dante and Randal precisely because they are complicated, smart-mouthed human beings who are not perfect. It was the individualized nature of school counseling that drew me to it in the first place. I began my career in the classroom as an English and Latin teacher. I spent 10 years training hundreds of students to write definitive thesis statements, to appreciate Tolstoy’s universality, and to memorize, once and for all, the third declension. I was quite happy in my world of words, but I found myself fixated, not on perfect test scores or all the students actually completing their assigned reading, but on whether these young people in my charge were content with their lives. When they were not, I became their advocate. I visited college financial aid offices, got on the phone with night school programs, and, on more occasions than I could count, ignored my lunch to listen to a student’s story. Lots of teachers wear such hats, but my favorite moments of my job suddenly had nothing to do with archetypes or verb moods. I enjoyed the relationships. And with that realization, some additional education, and a well-timed job posting, I became a school counselor. Three years later, I cannot imagine doing anything else. My days are completely unpredictable. There are scheduled portions—an admission call at 10:45 a.m., a parent meeting at 2 p.m., a PSAT event at 6:30 p.m.—but the rest is as eventful as Dante’s infamous “day off” at the Quick Stop. Tears, the good kind and the bad. A stern chat with a forgetful senior. A call for calm for the perfectionist with a B+ quarter grade. A tweak of a schedule here. A battle over dual enrollment credits there. And sometimes it is all put on hold for crisis. The hold-your-breath-and-pray-you-do-not-make-it-worse intervention. In exchange for my flexibility, patience, and intimate knowledge of college application deadlines, I get to play a part in the lives of young people. I get to guide them through four years of their lives. While the immediacy of high school will fade with further education, the building of a new family, and the pursuit of one or more careers, I think we can all agree it is a significant transition in our lives. A time that people will point to as a misstep if they are not happy with how it all turns out. I know this life school counselors lead has meaning. Dante was aptly named. He is stuck in the inferno of a small convenience store in New Jersey. What he is missing is a Virgil to show him the way out. The latter wrote in his masterpiece, The Aeneid, “Possunt, quia posse videntur.” It translates to, “They can because they think they can.” Dante needed someone to show him what was possible. To believe in him. NACAC Member Michele DeCamp is a college counselor at The Epiphany School of Global Studies in New Bern, NC.